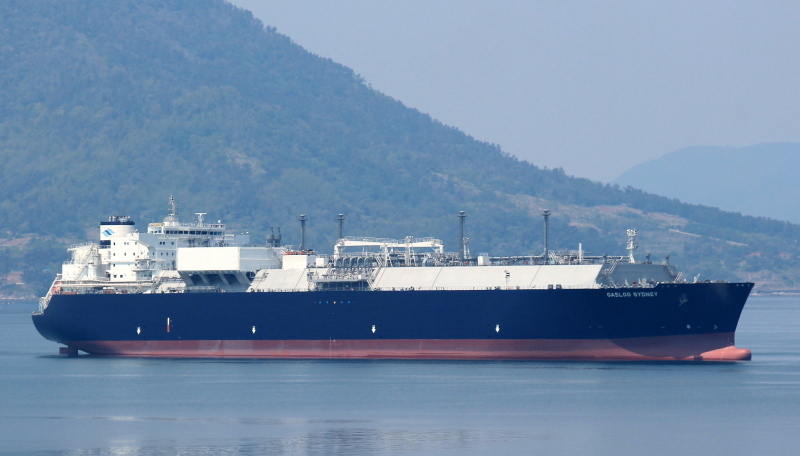 "Gaslog Sydney", LNG tanker built by Samsung shipyard, off Geoje City, Geoje Island, Korea. We waiting for them !! Nice one Vlad.Lies at anchor in Rotterdam. This photo has been shown 2,436 times since it was added to the site.